I’ve found that people from the Midwest are all real. Huh? What do I mean by that? Well, they tend to be straight-up, honest, with no BS, no hidden agenda, and no accent. Cookies BBQ Sauce is a product of Iowa and like it’s Midwestern friends, it is also simple, straight-up, and no BS. But I guess I’ve become a bit desensitized to the ordinary… and I prefer an accent sometimes (a new spice or flavor) and I sometimes like a little bit of a hidden agenda… (surprise bit of heat or a flavor that only activates when the sauce meets fire). So although the lack of differentiation prevents me from giving it a 5, it’s still a very tasty and smokey BBQ sauce flavor. The initial flavor I get when it hit my tongue is the dark sweet flavor of molasses, followed by a powerful liquid smoke flavor, ending with a salty tang provided by Worcestershire sauce. Yum. 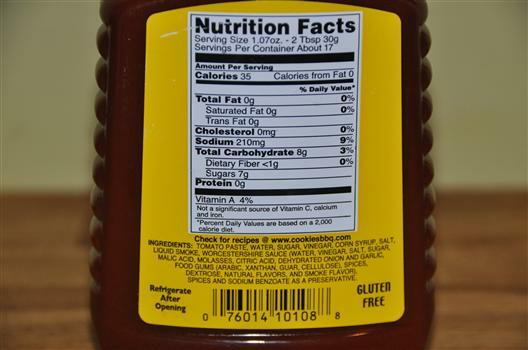 One nice surprise is that is can be added to my popular Gluten-free BBQ sauce list. Consistency is a bit on the thin side and had limited specks and homemade sauce appeal but stuck to meat well and tasted great throughout the process. The Original flavor is the sauce that put Cookies on the map, but for folks who like a little variety in their BBQ Sauce, they also offer three other sauce flavors including Sweet Hickory, Western and Country Blend. You’ve got to be kidding!!! Cookie’s is so sweet and thick that it’s like tomato syrup instead of a barbecue sauce. Absolutely disgusting. It should be used on pancakes or waffles. If I find that a food has Cookie’s on it I avoid it. Iowans like it because of all the corn syrup it must have in it. Maull’s!!! Now there’s a real barbecue sauce. Watching this together with our little 7 month prince Leander. Thanks for the inspiration and support this video provides. Great song lyrics – encapsulates what a parent feels.Oh, just read some of the comments…Atheistrage has a lot to learn about life, society and social interaction. Your comments hurt me. You appear rather ill-informed and selfish, unfortunately.Your viewpoint is frankly outdated. Why do these videos always attract people with a chip on their shoulder? Baffling. Cookie’s is so sweet and thick that it’s like tomato syrup instead of a barbecue sauce. Absolutely disgusting. If I find that a food has Cookie’s on it I avoid it. You can’t taste the meat. I’m from Iowa and I don’t give a crap about whether or not there is corn in this sauce. I just like the sauce. It is almost too sweet at times, but if I don’t want a sweet sauce I usually go for KC Masterpiece. 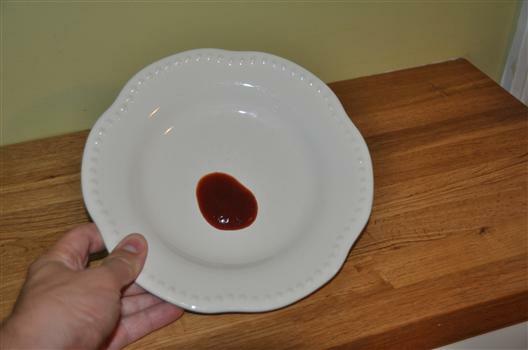 This is the only BBQ sauce I’ll eat…or CAN eat. I dislike anything spicy hot or too tangy and COOKIES fits the bill just perfect for me and my family. We have LOVED Cookies for 25 years atleast… I can’t stand any others, I think THEY are too sweet!!! Now our Walmart doesn’t carry it, too sad… Back to the old way of ordering it on-line… It lasts longer that way anyway, cause we get a case.. The only other way is home-made Kansas City vinegar based sauce. Love Cookies. Above, you think Cookies is sweet, what do you think of the “Krafts” brands? I’m from Des Moines, and Cookies is made somewhere outstate. Is it Wall? I can never seem to remember. Anyway, I am in near total agreement with this review. It’s a safe sauce, nothing too daring or adventurous, or avant garde. No pushing any boundaries, no playing on any peripheries, no living on any edges. No secrets hiding in the bottle. Nothing. Just sweet, smokey, wholesome goodness. There are sauce makers around the state, as well as here in the city that do much more adventurous stuff. There are a number of BBQ joints in the metro that make their own sauces that are almost to the bottle more bold than Cookies, and then Big Daddy’s, which used to be a BBQ joint, but still sells sauces has as a baseline sauce something akin to a more sophisticated Cookies, and then they go all the way up to products you have to sign a waiver just to have them put a dab on a toothpick for you. And that’s just here in Des Moines, let alone the rest of the state (which I care about to some extent, but a lot less than I do about the city)…or the region as a whole, so I don’t think the Midwestern stereotype holds. Like, I don’t know how “distinctly ‘midwestern'” this sauce really is. I just think it’s just a general safe sauce. But here’s what I have found in my experience with BBQ sauces: the flavors tend to get stronger as you cook with them. I can think of a number of sauces I like to dip things into, or slather onto previously cooked things. But when it comes to actually cooking with them, they become unpleasantly intense. Not too spicy, in terms of fire hot. I can handle that stuff just fine. But instead too, I dunno, “over assertive” in their flavor profile. I’m pretty fair weather about things like Famous Dave’s, but they make a great example of the effect in action: smear some Devil’s Spit on my ribs…not bad! Cook with Devil’s Spit, and it’s like eating a fistful of black peppercorns. No bueno! So, the list of sauces I like to use as condiments is remarkably larger than the list I like to use as ingredients, or perhaps, implements. Yet the magic of Cookies is that it is mild enough that it never becomes too assertive after cooking with it, and yet, that sweet, smokey, good ol’ simplicity is just as delicious to just stick your fingers right into. It is one of the few that can be BOTH a condiment and an ingredient and still be delightful both ways. And that’s a rare treat for me. Certain varieties of Big Daddy’s work the same way, and again, are a bit more “high brow” (but also quite a bit more expensive). But for cooking, it’s pretty much either Big Daddy’s (probably preferred), Cookies (used far more often), or actually a mix of the two (since they’re very compatible and blend very well) for me. Also, in the time since this blog was written, there is at least one new variety, which is spicier, but without losing the simple sweet/smoke foundational magic. I can’t remember if it’s called “Sweet and Spicy” or “Smokey and Spicy”. The latter, I think. But it’s very, very good! I might possibly like it even better than the original. I would use (and have used) Sweet Baby Ray’s as well, but find them no more inspiring, possibly even a little less so (other than their raspberry chipotle variety), and also lacks the charm of the local connection, especially Big Daddy’s. Because again, my “Des Moines pride” FAR exceeds any “Iowa pride” I may have…to the extent where I self identify as a “Des Moineser” over against (except for the rarest, most highly specialized contexts) an “Iowan”…..but yeah, I’ll totally be an “Iowan” for Cookies! It’s a no frills little bottle of simple, wholesome, tasty magic that I’m proud to use on the regular, and tastes like home! So using Sweet Baby Ray’s would be a real rare thing for me. One last remark: to the fellow who quipped about Iowa and “they must like it because of all the corn syrup”: way to pull down your pants, let the sun glint off your turtle-waxed @$$, and say “look at how much I know about Iowa and Iowans”. Trust me, Iowans and most non-Iowans alike get the message loud and clear. I typically focus more on the city itself with rhetoric like “the people most convinced that Des Moines is so behind the times are actually the ones most behind the times on Des Moines”, and let the rest of the state more or less fend for itself. But I decided I’d step out of my lane a bit for this one just because that statement was a special breed of ignorant. And besides, unless I’m very much mistaken, Sweet Baby Ray’s has even more corn syrup…and it’s not from Iowa….so now what? !